With knowledgable traffic ticket defence agents trained by a former local Provincial Court Prosecutor, Ticket Defenders®* employs well-educated and experienced staff. 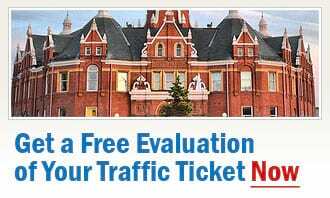 In fact, you will not find more experienced experts on traffic ticket defence in the Stratford area - or anywhere else in Ontario for that matter. Offering candid, straight forward information and advice, and exhausting every possible avenue throughout the Court process to make your charges disappear all together, Ticket Defenders®* is looking forward to being of assistance to you. We can help you fight your Careless Driving, Stunt Driving, Speeding Tickets, No Insurance, Drive Suspend and any other traffic charges from Stratford; And you do not have to appear in Court if you don't want to - we do it for you. Contact us for a free, no-obligation traffic ticket consultation of your case, and one of our Stratford traffic ticket experts will advise you on your options. The time that it takes for an experienced and knowledgeable traffic ticket Court Agent to advise you properly is well spent time. Depending on how many questions you may have, it only takes about ten minutes. That's ten minutes to potentially save you hundreds, even thousands of dollars over the years by protecting your demerit points and your insurance rates. If you wish to fight your traffic tickets, but do not want to go to Court - don't worry: we can attend on your behalf. Our highly qualified Traffic Court Agents do the leg work for you. This means you get to stay at work, or school, secure in the knowledge that your offence is being handled with the utmost attention and care. Of course, should you wish to attend for your trial, you are more than welcome to come and watch us defend your traffic tickets in Stratford!